Cemetery Burial Plots or Lots for Sale and Grave Sites with Burial Sites and Spaces for Sale Listings and Current Searches for Cemetery Property Sellers. Cemetery for private owner offers to sell. 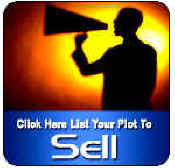 Buy or Sell Cemetery Plots for Sale or Grave Sites for Sale and Cemetery Lots with Burial Plots for Sale. What are Your Cemetery Plots for Sale Worth?